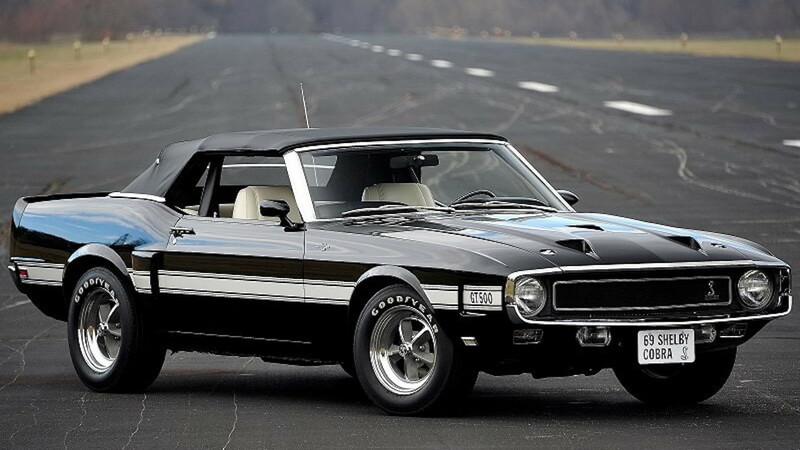 Decades kept them apart, but today, three 1969 Ford Shelby GT500 convertible prototypes are among each other's company again. In mid-January, Ford Performance detailed the endless pursuit for documentation that led to the discovery of the three cars, and it's nothing short of painstakingly impressive. The story begins rather nonchalantly: two men, George Huisman and Ed Meyer, spoke of a GT500 convertible that had been discovered in Detroit at a Shelby concours show in French Lick, Indiana This piqued the interest of three other men by the names of Tony King, and two brothers, Jason and Scott Billups. After a few months, the group kept in touch and King received word the GT500 in question was posted for sale. While traveling, he re-routed and picked up both Jason and Ed to help him inspect the car that he planned to purchase. Upon their arrival in Detroit, their keen eyes uncovered the car sitting in front of them was, in fact, a Shelby Automotive GT500 prototype car used to test features for the upcoming 1969 GT500 production car. The prototype, VIN 9F03Q102336, was a running and driveable vehicle with only 7,579 miles. The group also learned the car had been stored from 1977 through 2014. King bought the car and sent it to Billup's shop in Concord, Oklahoma, Billups Classic Cars for a complete restoration. The teardown revealed a list of prototype features. 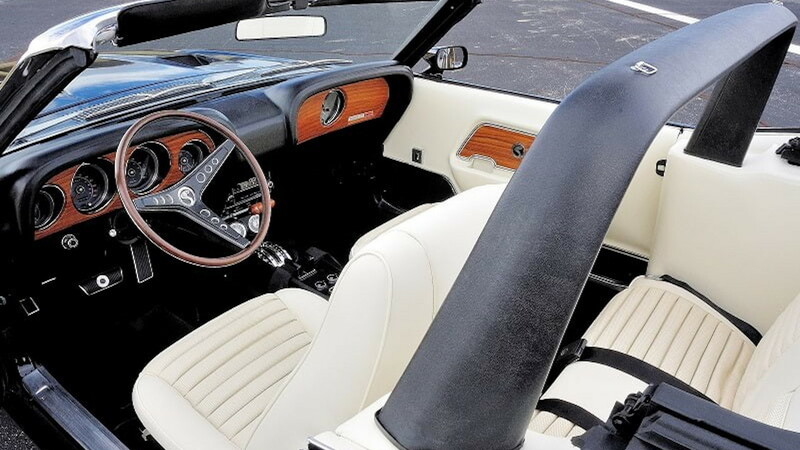 They included a functional left-quarter side scoop (the right side did not work), a square-base radio antenna, a tubular roll-bar, power windows from a Mercury Cougar, seat belt components from a range of suppliers, 1969 Mustang leaf springs, and prototype sequential taillight wiring. 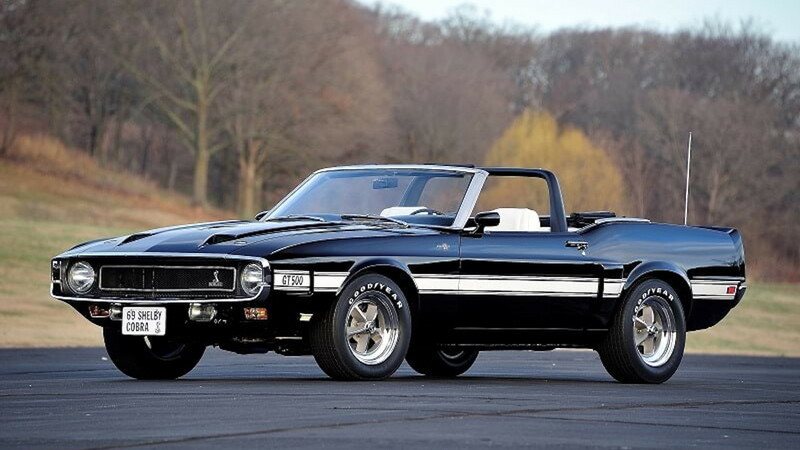 Immediately, the group knew they needed to document the car further as it became clear this was not a regular 1969 Shelby GT500 convertible. Relentless research found #2336 was indeed used as an engineering and marketing car for Shelby Automotive. SAAC records even showed the exact car in a Shelby American World Registry in 1987 and 1997. 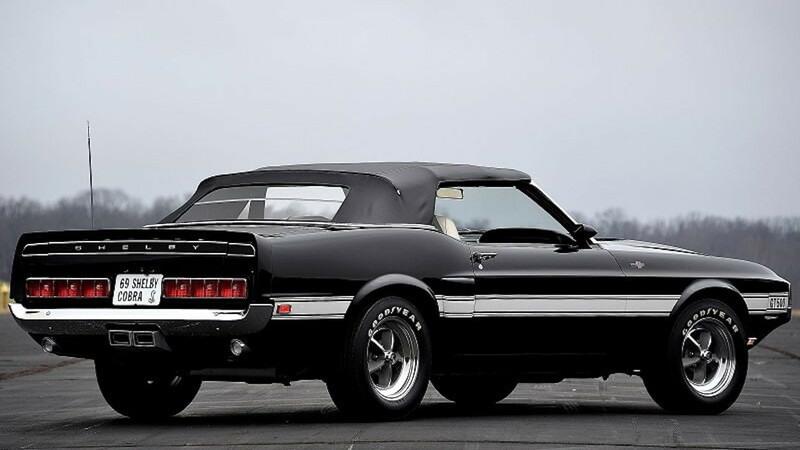 Further, it was the first Mustang built at the Dearborn, Michigan, plant to be converted to a Shelby, the first Mustang convertible and 428CJ built there, and the only Mustang finished in Raven Black for the 1969-1970 model years. In total, Shelby ordered four Ford Mustangs to develop and test the new GT500. Eventually, the men were able to track down two of the other prototypes: #2338 and #2339. King now owns both of them and reunited the cars for the first time in decades. Curiously, #2337 has gone missing and no information has turned up on the car other than records that show it was one of the four cars originally delivered and was also a convertible. Eventually, King and his crew discovered #2336 also used #2337's decklid. This has raised the possibility that the fourth and final GT500 prototype was parted out. Yet, no one knows for sure. It could very well be that #2337 remains lost somewhere waiting for its inevitable rediscovery. 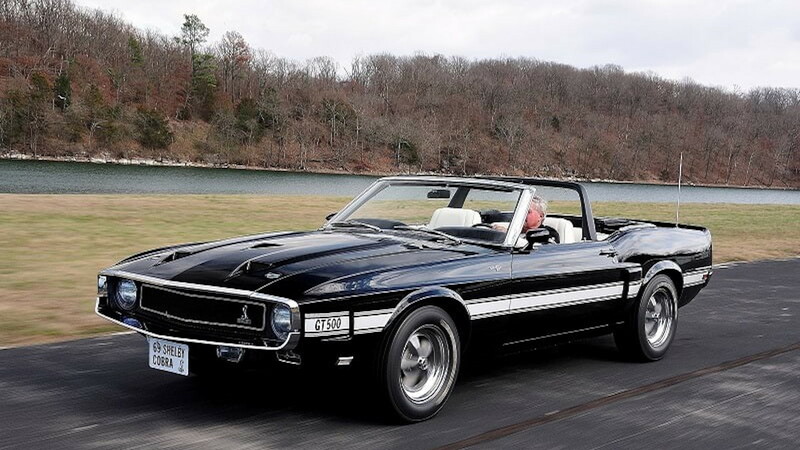 For now, this group of Shelby aficionados has more hunting to do, and King likely has time to enjoy his fully restored GT500 prototype, #2336.